New Bothwell, MB – April 30, 2018 – An entry into a global competition that started as a test run to see how Bothwell Cheese products would fare against top-level international competitors resulted in a silver medal for the company’s Habanero cheese. The World Championship Cheese Competition, which took place in Madison, Wisconsin from March 6-8, 2018, pitted some of the best cheesemakers from around the world against each other. A total of 26 nations were represented with awards handed out in 121 categories. 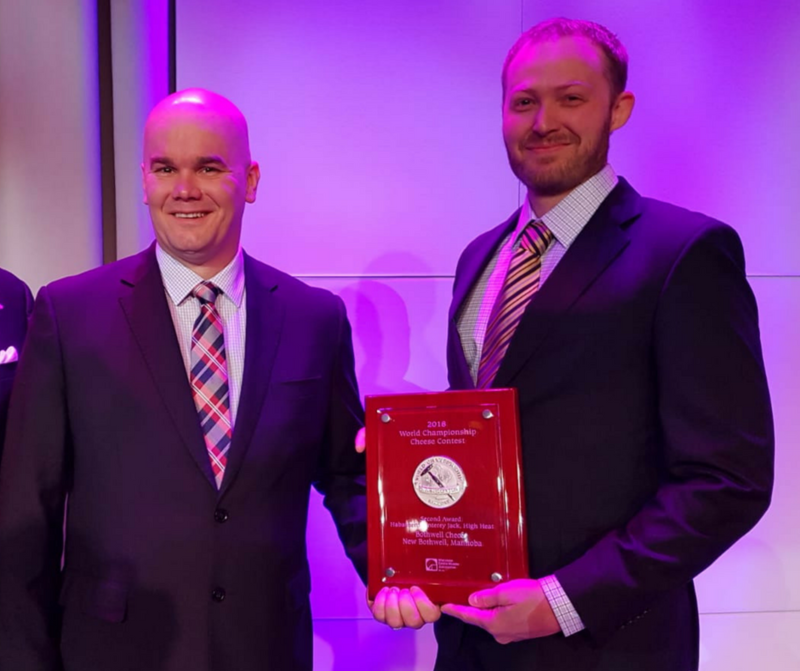 “To compete with the best cheese producers in the world and be recognized is such an incredible honour and a true testament to our team’s dedication to producing quality cheese,” says Nathan Dueck, Production Manager, Bothwell Cheese. The company also stood up well in the highly competitive Cheddar categories where they beat out hundreds of entries, placing 5th with their Medium White Cheddar and 7th with their Medium Orange, Mild White and Sharp White Cheddars. Winners were recognized at an awards banquet at the International Cheese Technology Expo in Milwaukee, Wisconsin on April 19, 2018.